TrueMetronome is the only app worthy of being called a metronome. 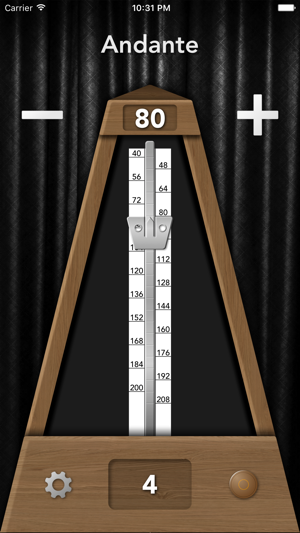 Almost all metronome apps boast about their accuracy, but users with sensitive hearing notice inaccurate beats all the time. 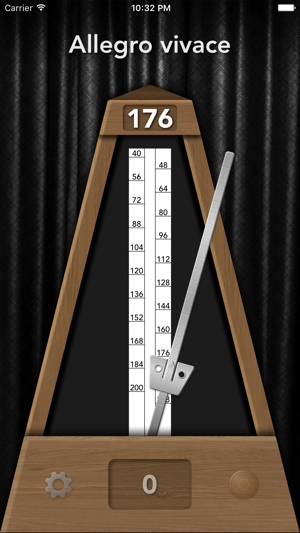 It used to be impossible to create a perfectly accurate metronome on a mobile device. 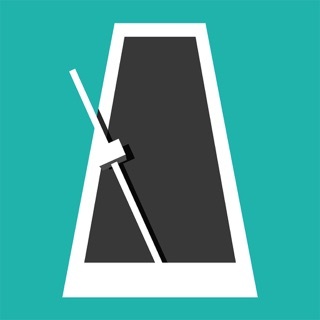 Despite the failure of other apps, perfect time is possible for TrueMetronome: its unique engine creates perfect beats with ABSOLUTE ZERO error. For this reason, TrueMetronome is most accurate metronome app on any mobile platform. Sound quality is the second issue for software metronomes. Serious musicians prefer a natural sound filled with overtones, but all metronome apps play short synthetic samples (so that the first sound stops completely before the next begins). Thus, you hear an artificial, dead sound. Moreover, the identical samples playing at the same frequency can drive any man crazy! TrueMetronome solves this problem thoroughly: all sounds are recorded from real metronomes, a beat does not affect the gradual decay of its predecessors, and each beat's sound is a little different from the others. All this contributes to the natural sound which is easier on your ears. Finally, an aesthetic, thoughtful interface is an important aspect of any application, and TrueMetronome pays particular attention to it. Creating an electronic metronome interface is simple, but TrueMetronome does not cut corners: it recreates the look and feel of a real mechanical metronome; every mark on the scale is labeled with a tempo mark, the deviation angle of the pendulum depends on the tempo, and the tempo is selected by dragging the weight. You can adjust the tempo in 2 BPM (beats per minute) increments by dragging the digital weight. This restriction prevents a change of tempo from accidental touches, and when you need greater precision in the selection of the tempo, there are "+" and "-" buttons as well. On the lower part of the metronome, you can turn the bell on and off and select the number of beats per measure. To start or to stop the beats, simply tap anywhere. - Pixel-perfect graphics for iPhone X, iPad Pro 10.5" and iPad Pro 12.9"
I am a visual learner and love this app. The back and forth timing is accurate and it helps to see the movement. Also, I like that you can punctuate the beats by setting the bell tone strikes according to the time signatures. This is helping me correct my timing mistakes and improve my playing. I highly recommend if you need a basic, accurate, and visual metronome. Perfect for my needs at the intermediate piano level.